Watch Chef Rosebud Benitez-Velasco and Chef Bruce Lim create delicious recipes from DJ Delamar’s freshly picked ingredients in the Delightful-E Yummy Fix Web Series. Learn mouth-watering and easy-to-do recipes with special guests like Cheska and Kendra Kramer, food blogger Lori Baltazar, and Chef Bruce’s son Brandon. The Delightful-E Yummy Web Series will surely get you the freshest ingredients and the most appetizing dishes for the family. 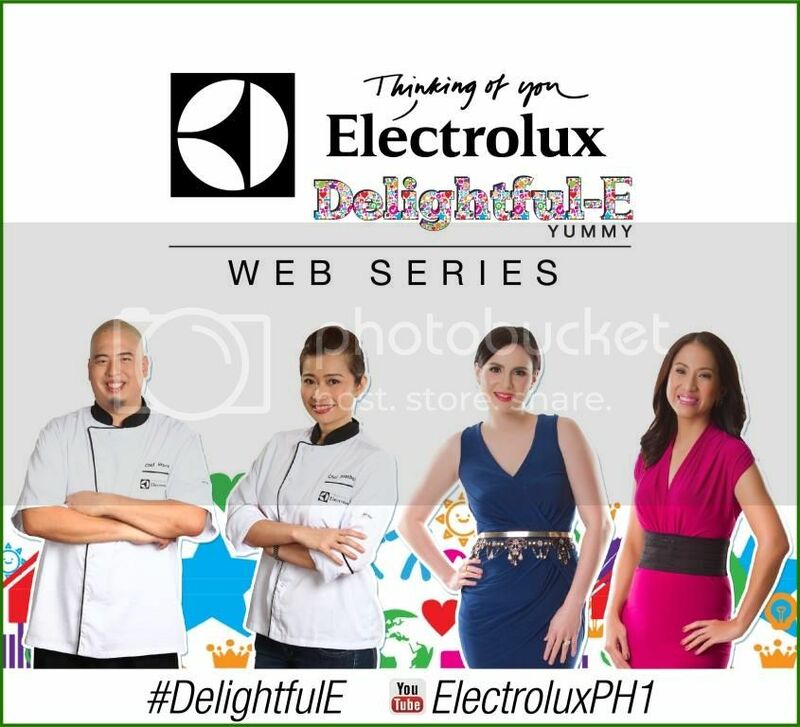 Visit www.youtube.com/electroluxph1 to watch the latest Yummy Picks and Fix latest webisodes! For more information on the Delightful-E Yummy Web Series, visit www.facebook.com/thelittlewhitebook, follow @ElectroluxPH on Twitter and Instagram.